KPN is an Dutch telecom operator. 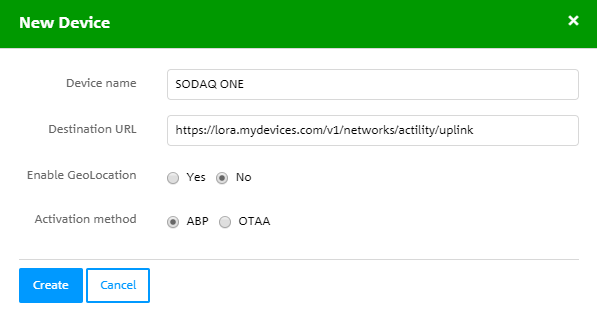 In this tutorial will be explained how to create an KPN Developers account. 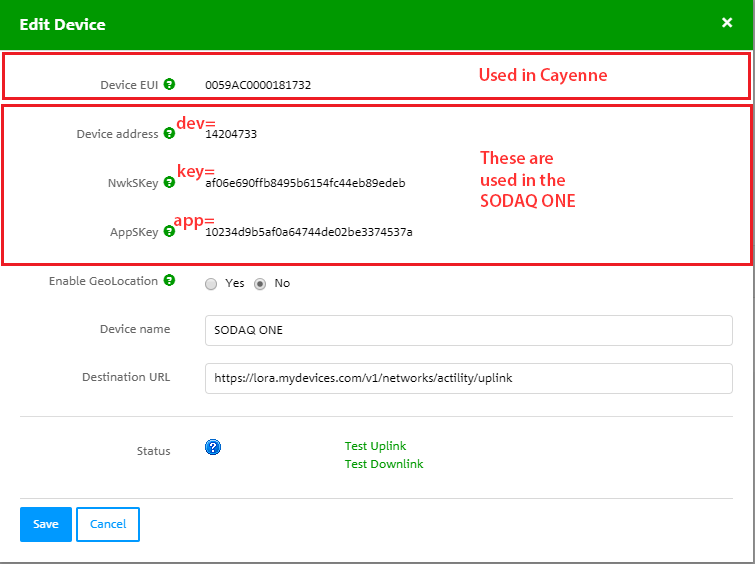 What you need to change in your SODAQ One and how we can setup Cayenne. Enable GeoLocation: No, we won’t use this function for this tutorial. 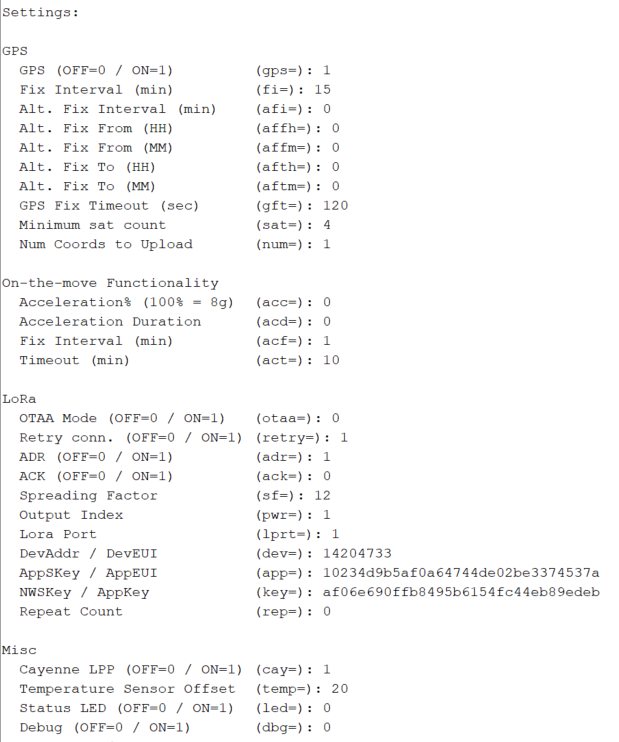 Activation method: ABP will be used in this tutorial. 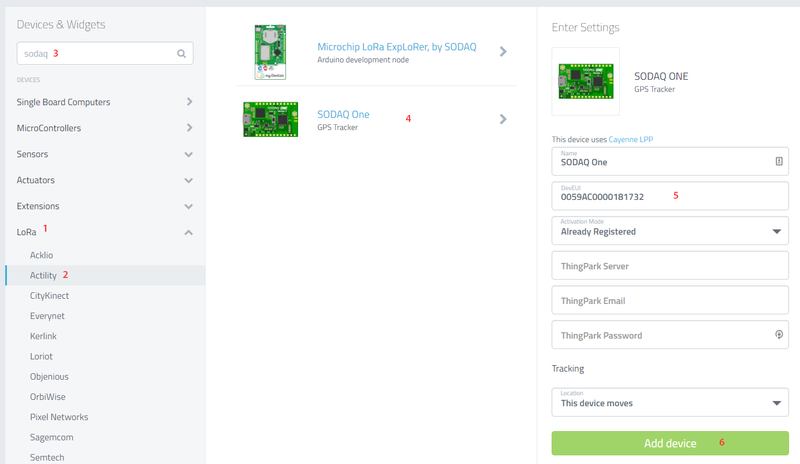 Disconnect any power source connected to the SODAQ ONE. Connect it to your pc over usb. Open a serial monitor within 30 seconds. If you don’t see any data within 2 seconds, press Enter. 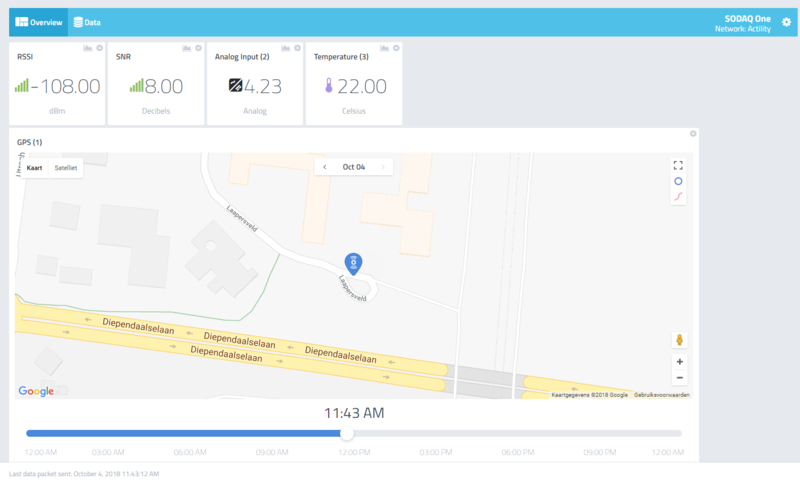 Put the device outside to get a GPS fix and when data is recieved by a KPN gateway the empty myDevice Cayenne will be automatically filled with data.